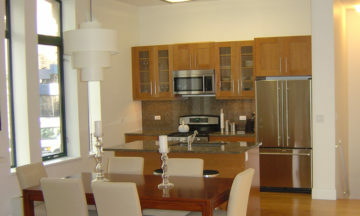 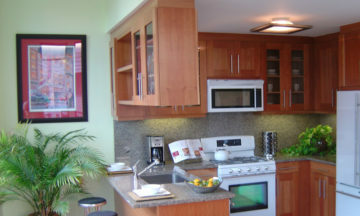 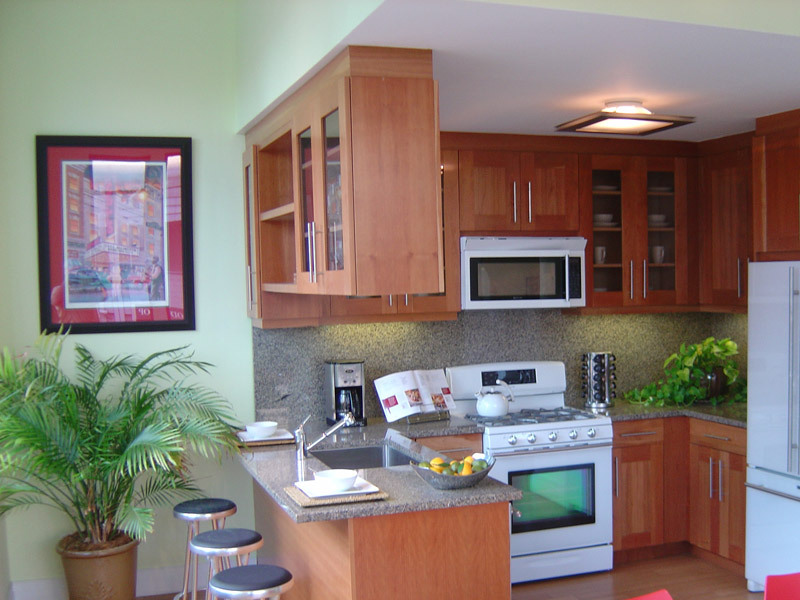 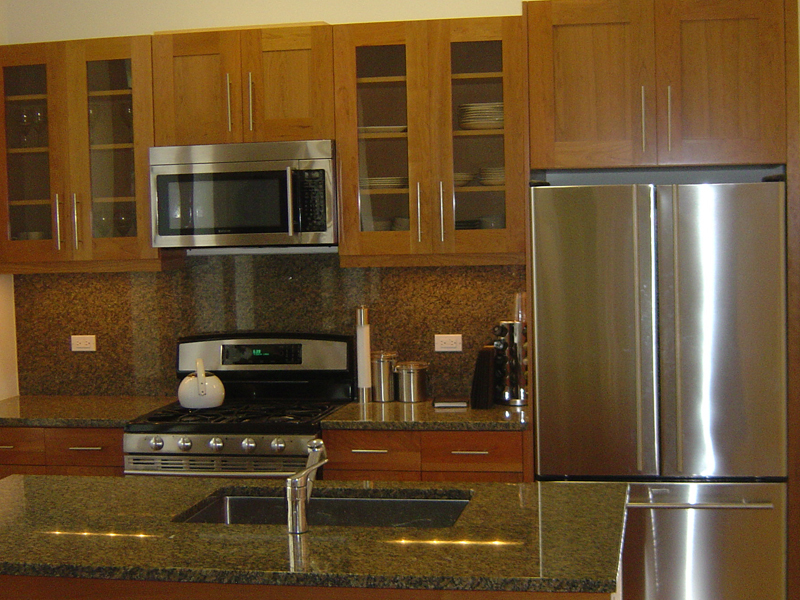 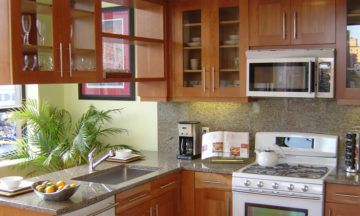 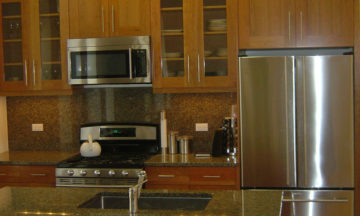 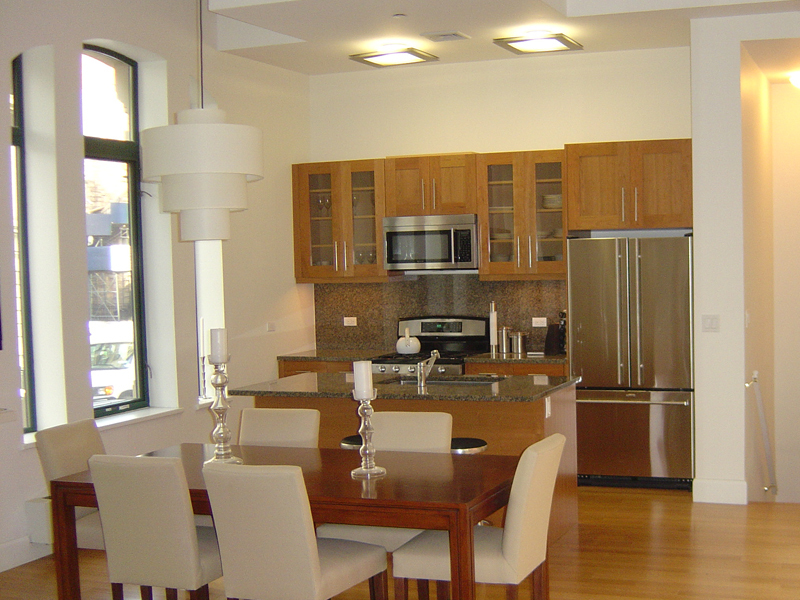 The wide Shaker cabinetry acquires a contemporary feel in this high-end cherry kitchen. 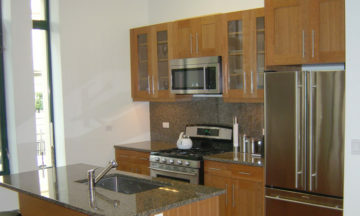 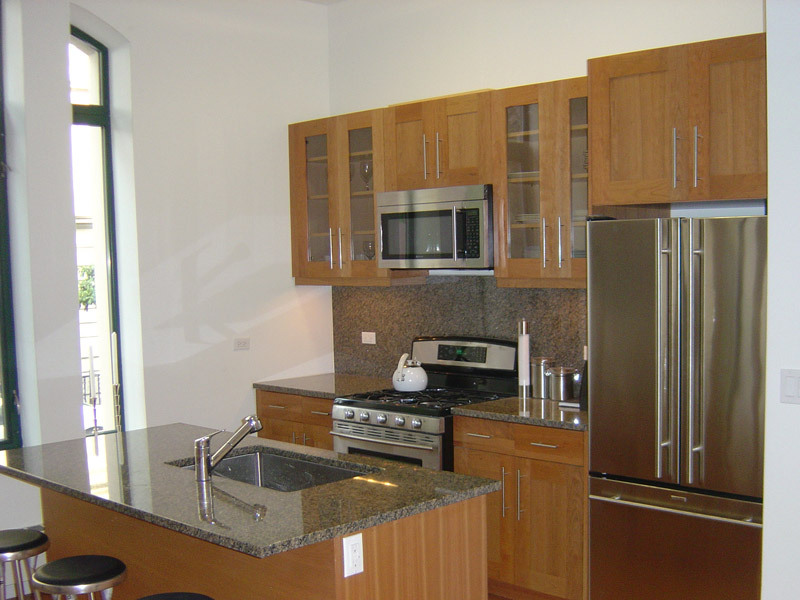 While remaining true to the classic design, this kitchen offers the best in modern amenities and style. 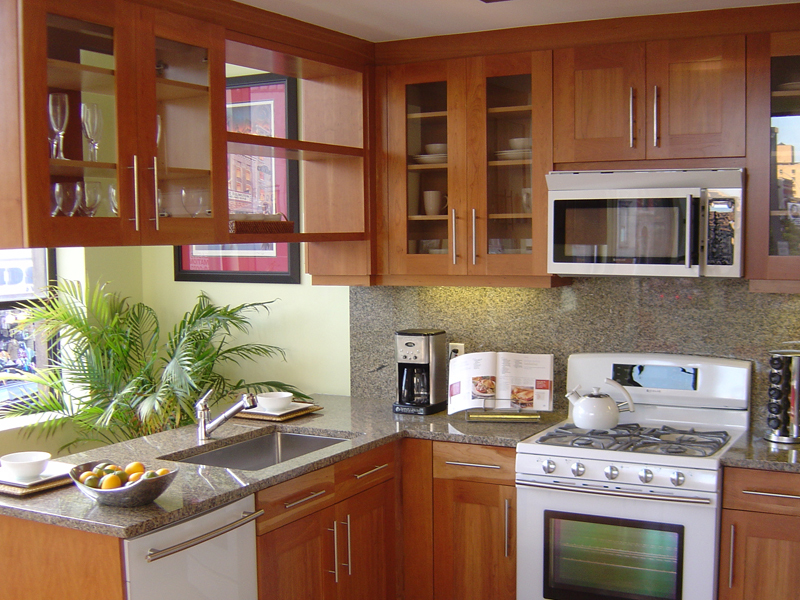 The abundance of glass and suspended open-shelf cabinets give the room an airy feel, and provide a showcase for the owner’s fine china and glassware. 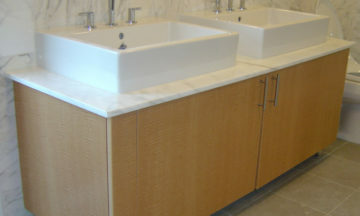 This luxurious bathroom features a modern Anigre vanity with white Carrera tops so strikingly beautiful, it is the soul of the room. 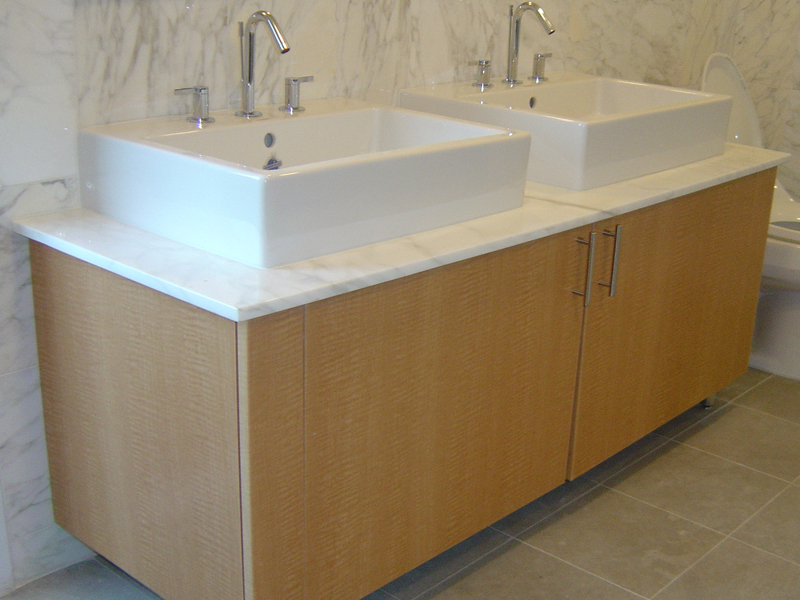 Set on polished steel legs, and with matching door handles, the vanity is fashionably chic.